For centuries, our pets have kept us company and even protected us. Today, we still love our pets and take care of them in the best ways we know how. 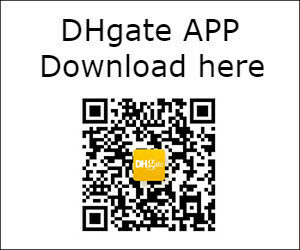 Thanks to technology, you can now download and use an application to help you take good care of your pet. 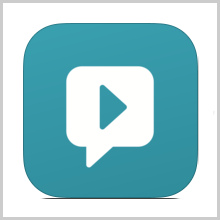 This application is designed for Apple devices and is known as PensterDocs. This is an application that is developed for the iPhone and the iPad. It stores information about your pet’s vaccinations. The application allows you to create a profile for your pets. After that, you can store information about future appointments with the veterinarian as well as your pet’s vaccinations. 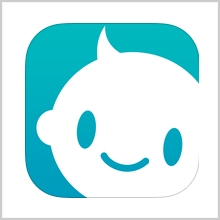 This application is fun and very easy to use. PensterDocs can also store information about other fun activities that you and your pet normally engage in. For example, it can store information about upcoming visits to the kennel or pet salon. 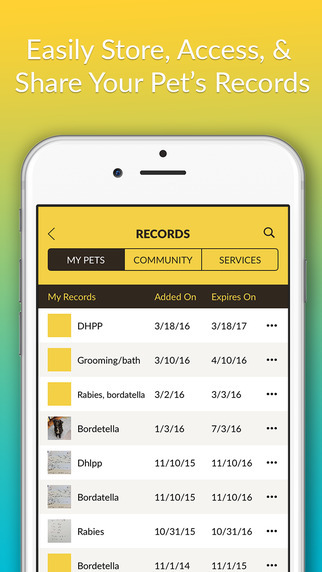 With this application, you no longer need to sift through papers, emails or send endless texts to your veterinarian asking about your pet. 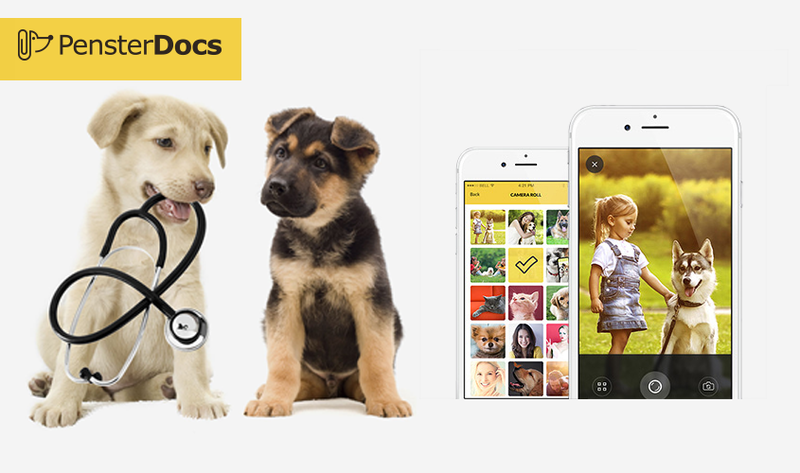 PensterDocs helps you to save all your pet’s information. Moreover, it can give you alerts to remind you of any approaching appointments for your pet! Interestingly, PensterDocs does not need an Internet connection to work efficiently. PensterDocs stores the information in your phone. This allows you to access the information offline. 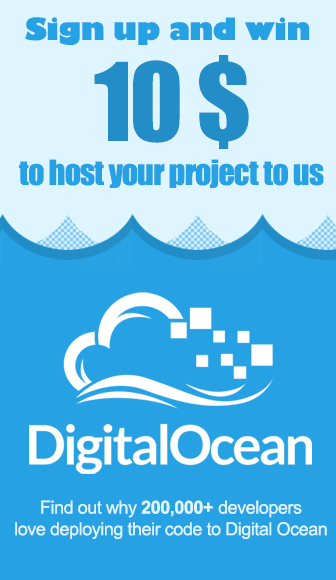 You can also send this information to others through emails or texts. 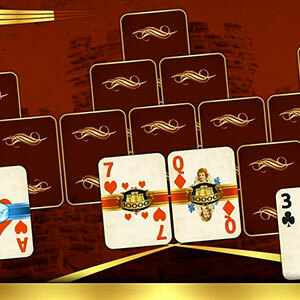 The application can also assist you to print the information through a Bluetooth or WiFi connection. By using the buttons and controls in the application, you can set some alerts to remind you of crucial appointments with your pet’s veterinarian, kennel or salon. A neat feature of this application is that you can use it to identify the location of your nearest veterinarian, dog park, pet salon or kennel. This feature works all over the world. As such, you can take good care of your pet even while abroad. It also has a feature that allows you to quickly call your veterinarian or any other service with one tap. 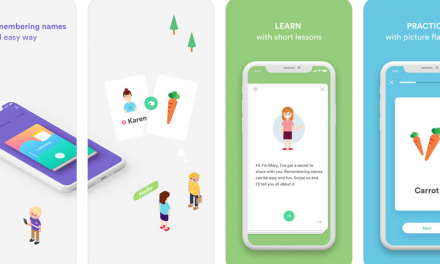 In addition to that, you can save and share your pet’s experiences, photos and favorite foods with other people who have the application. You can use the application to get online and view the PensterDocs community pages. Here, you can see pictures and posts from people around the world who also use the application to maintain their pets. It has limited language settings. It is not available in Spanish or Chinese. 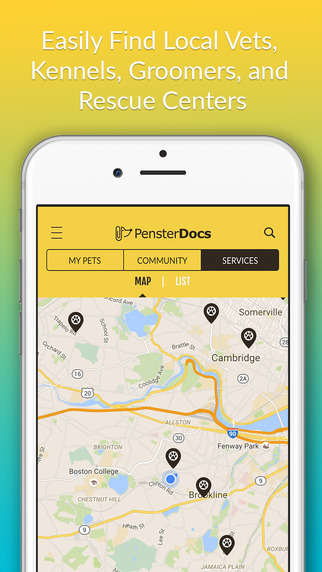 PensterDocs is a great application for pet owners. Available for iPad and iPhone devices, this application helps you to take the best care of your pet. 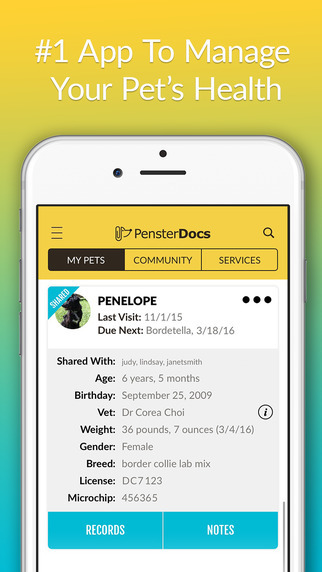 With PensterDocs, you will never forget an appointment for your pet again.